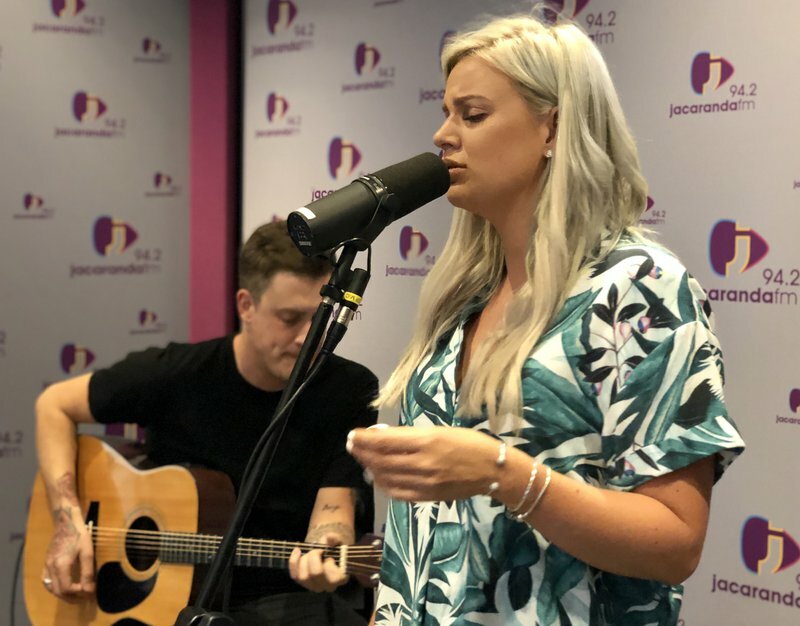 The singing sensation from Durbanville did an incredible version of Mr Big's 'To Be With You' on Breakfast with Martin Bester. Demi-Lee Moore was announced as the winner of VIA TV's 'Die Kontrak' on Friday, 23 November at the Afrikaans is Groot mega-concert at the Sun Arena, Pretoria. The winner joined Martin Bester in studio to sing the 1991 Mr Big hit, ‘To Be With You’. Professional singers Ivan Roux from Centurion and Demi-Lee Moore from Durbanville battled it out for the coveted R1-million contract and the opportunity to perform alongside some of South Africa's biggest musicians at Afrikaans is Groot last week. The singer's latest album, 'Mis, Eet, Slaap, Herhaal' was released this week and is available at all leading music stores.